Where fire safety is your ultimate concern, our Blazemaster boards have been tested under the European Harmonised Standards BS EN 13823: 2002 and BS EN 11825-2 and fully meets the criteria for Class B. Blazemaster may therefore now be used in locations that required British Standard and Building Regulation classifications of Class 1 and Class 0. As a general guide, Class B products should be used in fire escape routes, corridors, stairways, lobbies, kitchens, workshops, laboratories etc. If in any doubt your local Fire Officer can advise on their correct use. Blazemaster fire resistant notice boards have been designed and tested to meet the latest European fire regulations and has been certified in accordance with EN 13501-1: 2007. This means you can have complete confidence that your notice board, is fully approved in accordance with this standard. To comply with the latest building and fire regulations, notice boards for corridors and escape routes should be certified to EN13501: 2007 class B. (This new standard is the equivalent of the British Standard Class 0.) This relates to the complete assembled product and not just the fabric, a covering or its constituent parts. 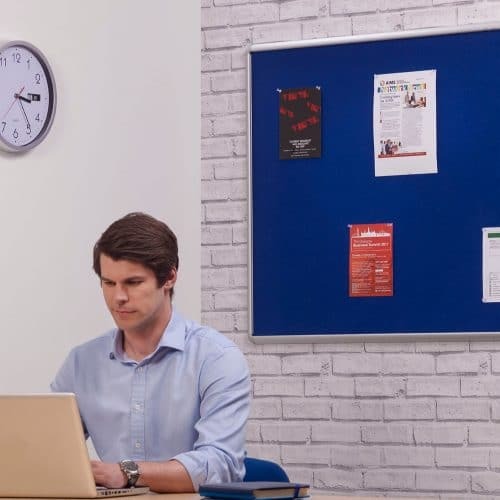 Our range of Class 0 fire retardant noticeboards are the ideal solution for school corridors and escape routes, as they have been independently tested and verified to class B So2. EN13501:2007. This includes the separate product fire tests EN11925 and EN13823. These rigorous tests should give total confidence that you are specifying the right product for your busy school environment. 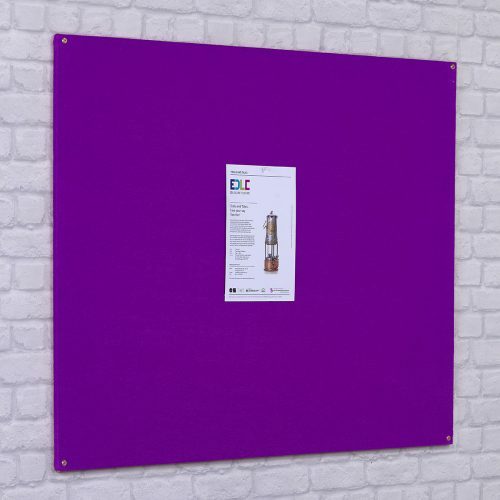 Solutions are available to suit all budget with unframed, framed, and locking noticeboards. Many standard notice boards offer zero protection in the unfortunate instance of fire. There are also many areas such as personal offices that do not require Class 0 certified products. Schools however have a potentiality greater risk of fire even in low hazard areas, and due to the volume of display material the spread of fire can be concerning. 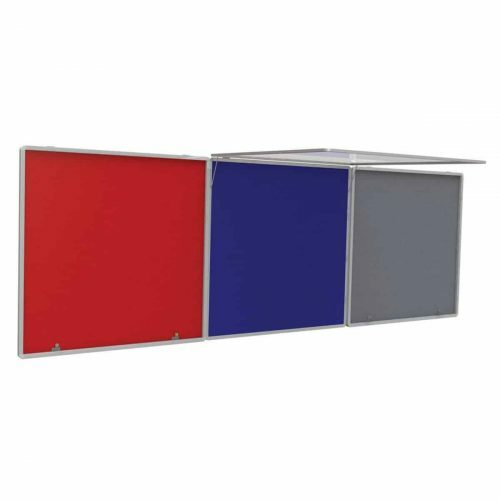 We have therefore developed a range of mid-range notice boards that are covered with a fire retardant fabric material. 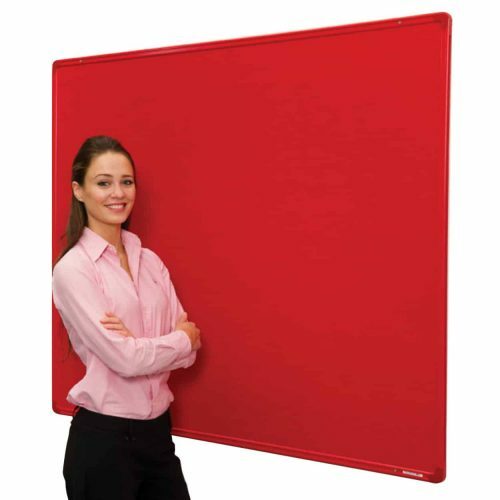 These are the most popular flame resistant (also known as fire retardant) notice boards. When you are displaying non-sensitive information that doesn’t need protecting from a tamperproof or lockable notice board, these are ideal. The pin surface, frame and core materials have all been fully tested. 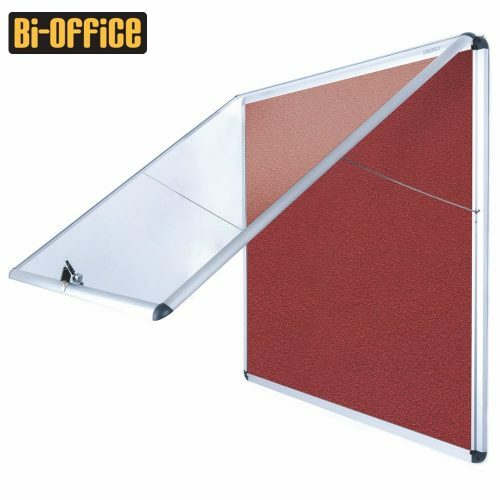 These noticeboards are ideal for locations such as classrooms, but not corridors or fire exits. To protect the paper igniting, you need a tamperproof noticeboard where the contents are protected behind fire safe glazing. If you are displaying information in corridors, public areas and fire exit routes means you need a lockable fire retardant notice board. This prevents your notices becoming part of the problem, or even worse, the start of the problem. All our tamperproof and lockable notice boards are made from the finest components and materials. Unlike cheaper notice boards, our tamperproof products feature fire rated polycarbonate doors and high quality key locks. 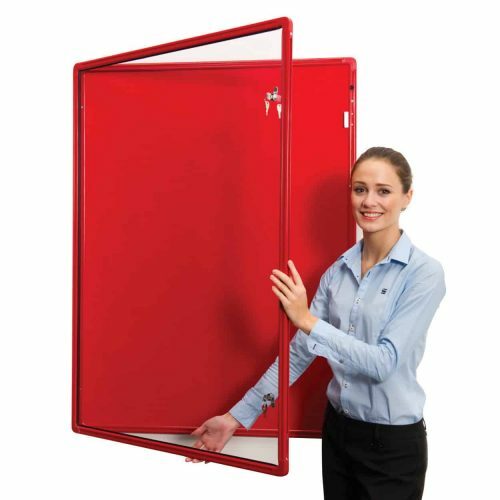 The top hinge notice board is perfect for corridors and fire exits. The door is held open with supports when open preventing accidents. All the materials used in these notice boards are the highest fire safety standards possible giving you peace of mind. Our premium top of the range FlameShield Showcase features a ‘gas strut’ assisted door opening for ease of use and hassle free changing of information. Hinged and double locking door features fire rated and virtually shatterproof polycarbonate glazing. The noticeboard core and bonded textile are fully fire retardant and are tested as a composite to Class 0 and comply with BSEN13501: 2002. 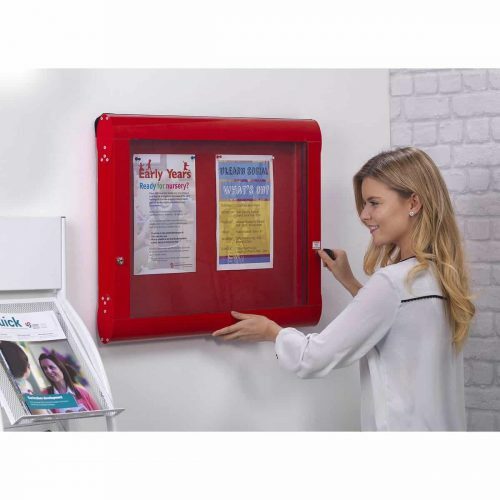 These fire safe noticeboards are great for locations that are not corridors, open public areas or fix exits. 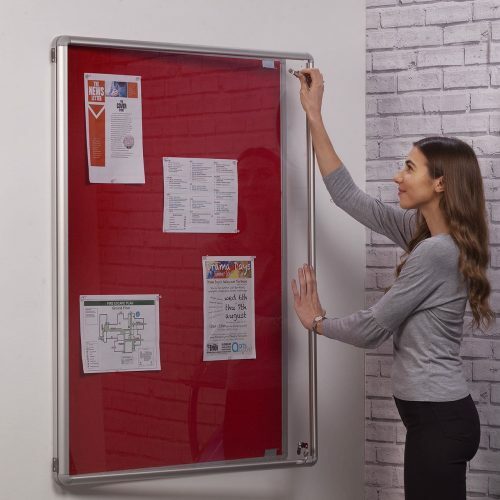 Without the traditional aluminium frame, they bring a modern alternative look over traditional fire safe notice boards. These should not be installed near fire exits or in corridors. Tamperproof flame resistant (often known as fire proof) notice boards should be installed at these locations to prevent the spread of fire. 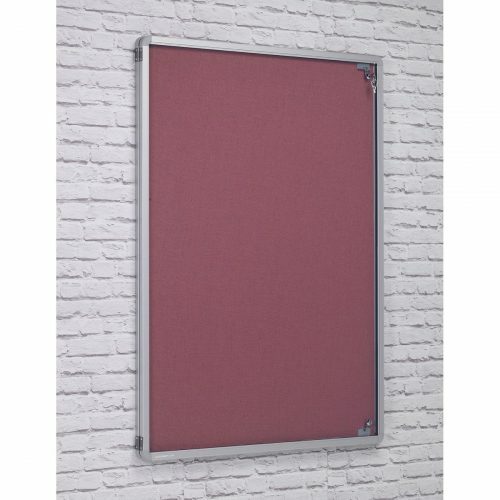 Fire Retardant Notice Boards (often referred to as Flame Resistant Notice Boards) must be used in various locations to ensure fire safety in schools, workplaces and fire escape routes etc. Specifically, corridors, stairways, kitchens, workshops, laboratories, fire escape routes, and public areas are among some of the spaces that fire retardant notice boards are required. Please call us on 01539 628309 for more information on fire safety. In the event of fire, open notice boards (as opposed to lockable notice boards) which have paper or other flammable material attached can significantly reduce the protection provided by fire resistant building materials and compartmentation in the event of fire. No open type notice boards allowed. Where there is no alternative means of escape from a corridor then only notice boards which meet Class 0 requirements will be permitted. We still recommend Class 0 products, however notice boards meeting Class 1 requirements, open type with fire resistant material covering, may be used in a corridor with an alternative means of escape provided that the surface area of the Class 1 materials does not exceed 20% of the total ceiling and wall surface area of the corridor. The remaining area must be Class 0. In these areas, only notice boards to Class 0 requirements may be installed. What Is Class 0 ? Class 0 means the surface material or where it is bonded throughout to a substrate, the surface material combined with the substrate has a surface of Class 1 and, when tested in accordance with BS 476: Part 6: 1981 or BS 476: Part 6: 1989 has an index of performance (l) not more than 12 and a sub-index (i 1) not more than 6 or has achieved a classification of B-s3, d2 or better when tested in accordance with BSEN 13823 and BSENISO: 11925-2. Basically, the noticeboard will be as fire safe as possible. I’ve Installed Class 1 Noticeboards, Or Notice Boards With Fire Rated Felt, Will This Do? No. Just because the felt will prevent the spread of fire doesn’t mean the other materials in the noticeboard will. For example, the glue or frame might not be fire rated. Why Do You Only Sell FlameShield Noticeboards And Not Other Brands? After reviewing our product range, we were impressed that the FlameShield range not on met but exceeded the recommended safety levels. This gives us (and you) peace of mind. Do I Need Tamperproof Notice Boards In Corridors? Ideally, yes. A lockable noticeboard will protect your paper from igniting and prevent the spread of fire. All our fire resistant notice boards have flame resistant doors. 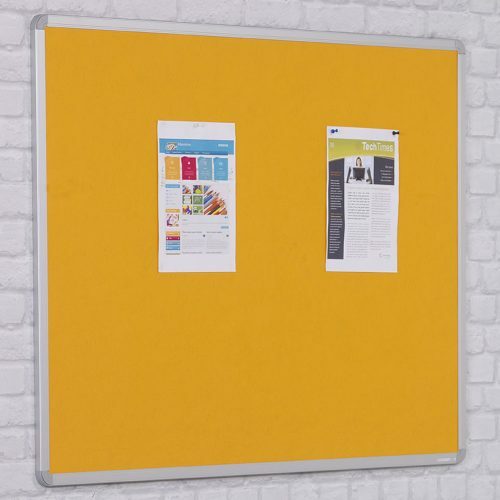 In addition to regular side hinge lockable noticeboards, we also stock top hinge tamperproof notice boards for use in corridors. They feature a support so the door is held open when the content is being changed. We’ve Discovered Most Of Our Noticeboards Do Not Comply, Do You Offer Discounts For Bulk Orders? Call our sales team on 01539 628309 for a quote.